Locally produced food continues to increase in demand throughout the country. Small-farm-produced dairy products are often as popular as vegetables, but can often be harder to find. The artisan cheese movement has created a demand for small volumes of specialty cheeses. 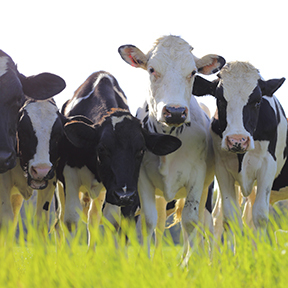 If you are thinking of adding a dairy enterprise to your existing operation, resources from Iowa State University Extension and Outreach can help. The dairy team has compiled information regarding the economics of grass-based, organic dairying, dairy and heifer budgets and millionaire model farms that provide a good base for someone looking to get into dairying. Information is included on low cost parlors. These are an inexpensive way for start-up or remodeled tiestall barns to milk efficiently, ergonomically correct at low-cost. Find additional information provided by the dairy team.